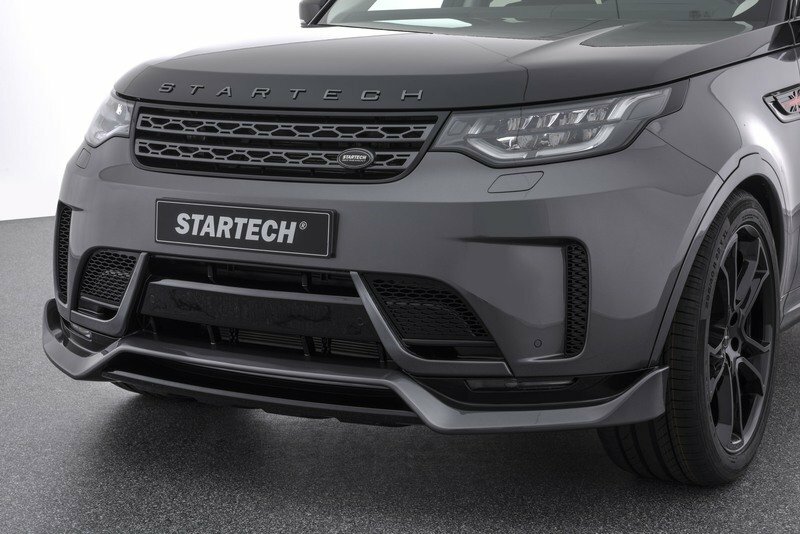 If you happen to be the proud owner of a new Land Rover Discovery and you’re looking to dial up the SUV’s aesthetic appeal, Startech’s new tuning kit may just be the keys to the kingdom that you’ve been looking for, even though the kit is pretty straightforward. 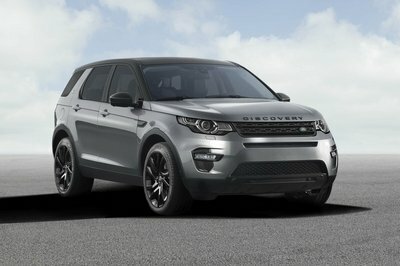 On the outside, the program offers plenty of upgrades, beginning with an aerodynamic body kit that includes a new front spoiler that can be attached to the Discovery’s standard front bumper. 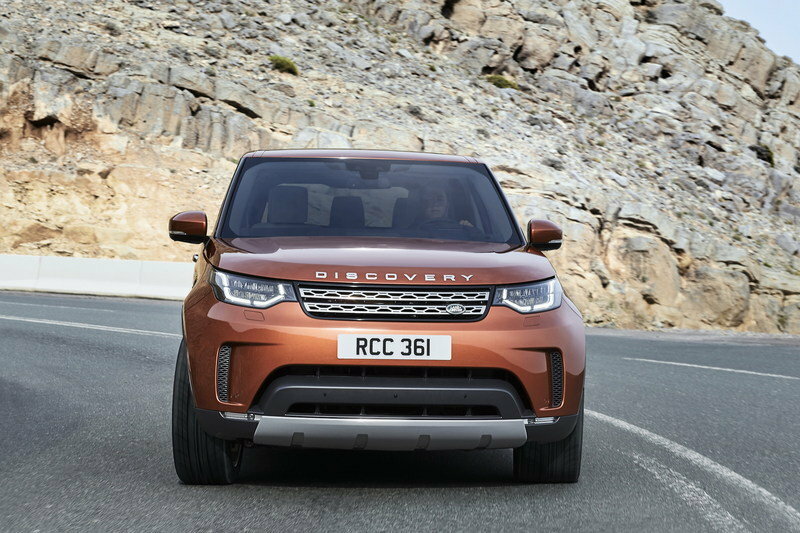 The spoiler’s design is distinct enough to give the Discovery a new look. 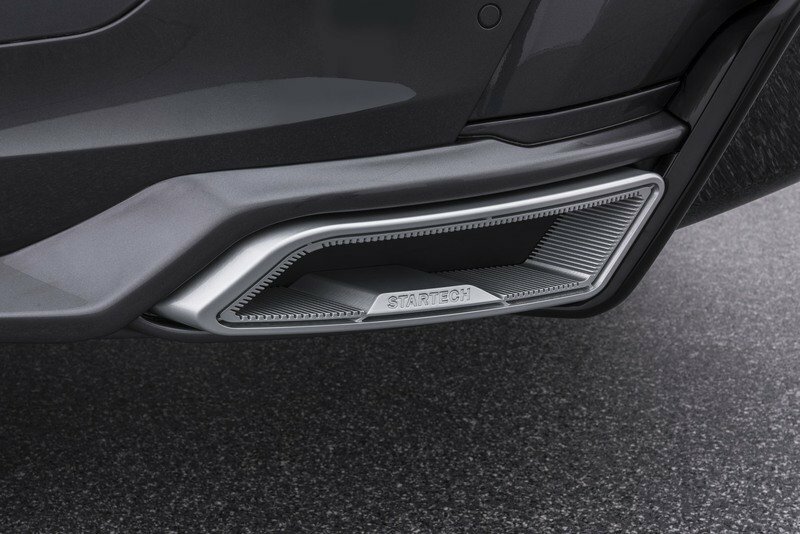 The side flaps on the equipment piece are nice visual touches, too, but it’s more important function rests in its ability to reduce the lift on the SUV’s front axle. 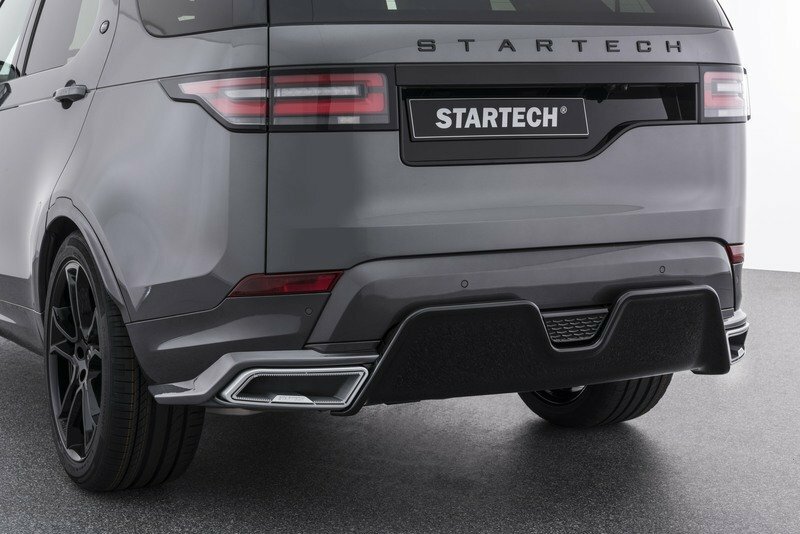 Finishing off Startech’s exterior upgrades for the Land Rover Discovery is a set of 22-inch Monostar wheels that come with a unique, five-double-spoke design. 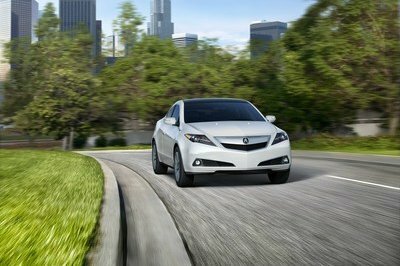 The wheels are then wrapped specifically in low profile tires from Continental measuring 295/40 R 22. 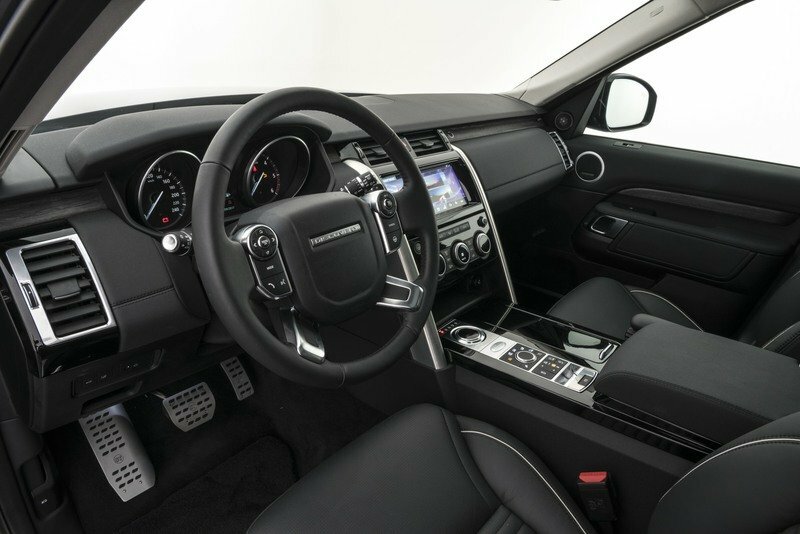 Move to the Discovery’s interior and there’s world of personalization that opens up to owners of the SUV. The tuner didn’t elaborate on all the materials it has to offer, but the visuals do show a cabin dressed in fine leather with wood trim and carbon fiber accents thrown into the mix. Prospective customers also have the option to get backlit door plates and floor mats with Startech branding. And if these offerings aren’t enough, there’s also the option to go straight to premium leather and Alcantara. Startech has all of these offerings at the table, provided that they fit into what a customer wants. 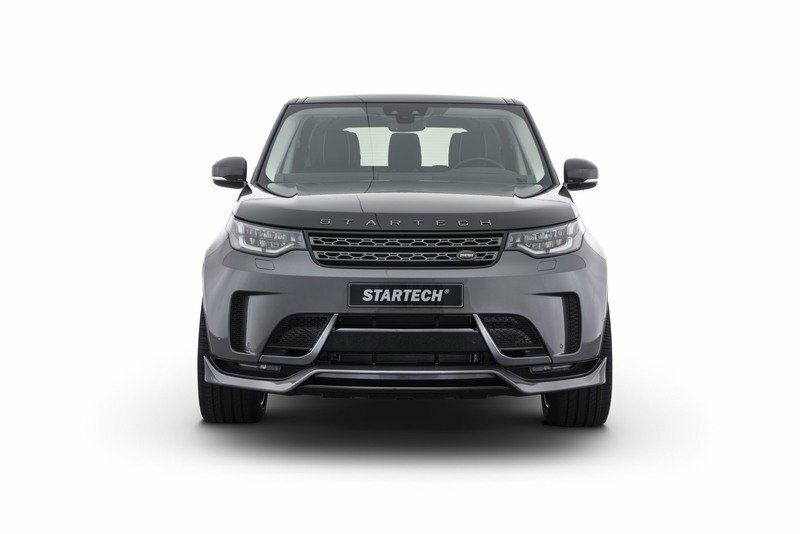 That’s about the extent of upgrades included in Startech’s new tuning kit for the equally new Land Rover Discovery. 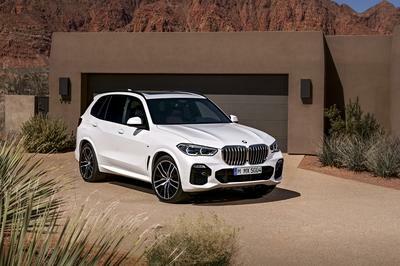 There are no engine upgrades to speak of so expect no changes to the 340-horsepower output coming out of the SUV’s base 3.0-liter supercharged V-6 engine. It even retains its 332 pound-feet of torque. 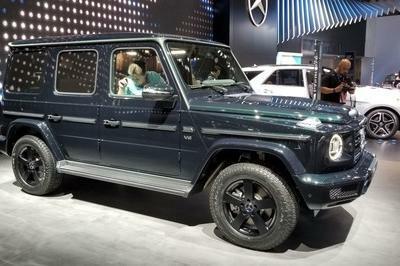 That shouldn’t matter too much, though, because the Disco already has decent performance numbers, including an acceleration time to 60 mph of 6.9 seconds and a top speed of 130 mph. 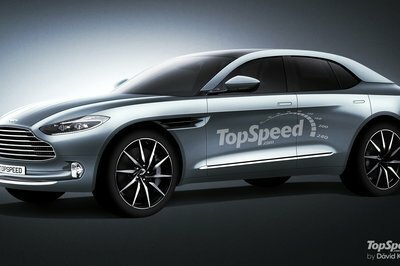 More details about the Startech’s program for the Discovery could be unveiled at the Frankfurt Motor Show, so be on the lookout for the tuner’s booth. 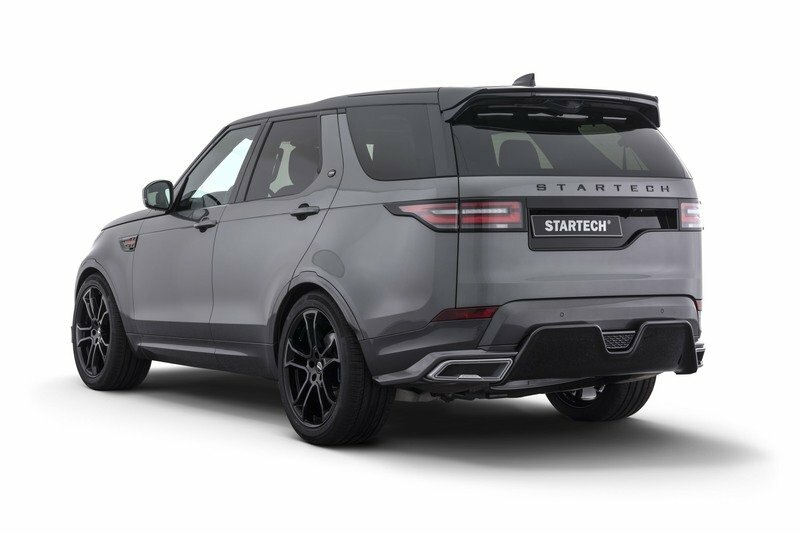 For what it’s worth, I like the treatment of the body kit, specifically its ability to seamlessly integrate itself and its sporty properties into the Discovery to make it more aggressive without losing too much of its own identity in the process. It’s still a Land Rover Discovery; it’s just a meaner-looking one.